The execution of North Korean leader Kim Jong-un's uncle, who had been the second most powerful man in the country, once again highlighted the dire living conditions and human rights abuses in North Korea. There is growing consensus in South Korea about the need to help ordinary North Koreans who suffer malnutrition and diseases. According to the Pyongyang Office of UNICEF, the under-five mortality rate per 1,000 live births was 33 as of 2011, and the maternal mortality rate 81 per 100,000 due to malnutrition. Among children under five, 28 percent suffer from malnutrition and stunted growth. Kang Young-sik of the Korea NGO Council for Cooperation with North Korea said that what North Koreans need most is food. 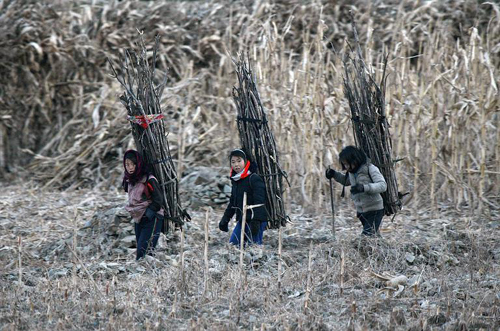 South Korean humanitarian aid to North Korea has dwindled from W439.7 billion (US$1=W1,060) in 2007 to W19.8 billion last year, while living conditions there worsened as the regime focused on developing nuclear weapons or squandered money on luxury projects like building a ski resort and amusement parks. Seoul continues to exclude rice, flour, corn and potatoes from the list of the items that can be donated to the North because they are likely to be diverted to the military. Only flour to make nutrition-fortified bread for vulnerable social groups is allowed on a limited basis. But experts say it is necessary to deal with aid for ordinary North Koreans separately from the North Korean regime. Lim Eul-chul at Kyungnam University said, "Humanitarian aid to North Korea will later serve as the foundation for reunification. 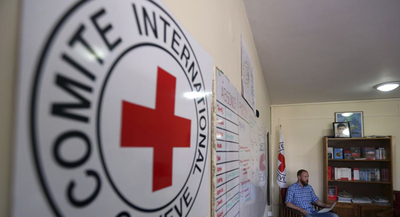 We should expand aid and negotiate with the North on how to monitor distribution of aid."